Our first month of the 2019 school year has passed by quickly. I trust that your children have now settled in well to College life in their respective year levels and routines are taking shape at home. Although it’s difficult to leave the holidays behind, I think we all welcome a little normality back into our lives when school recommences. Congratulations also to Kye Oxley-Garnett and Harry Hadley, both studying at the University of Sydney and now in their second year. Jack Gallen and Molly Burrows (current Year 12 students) also featured at this event, being invited to perform musical recitals throughout the evening. The representation of students from Carroll College was prominent. A great celebration for the College! 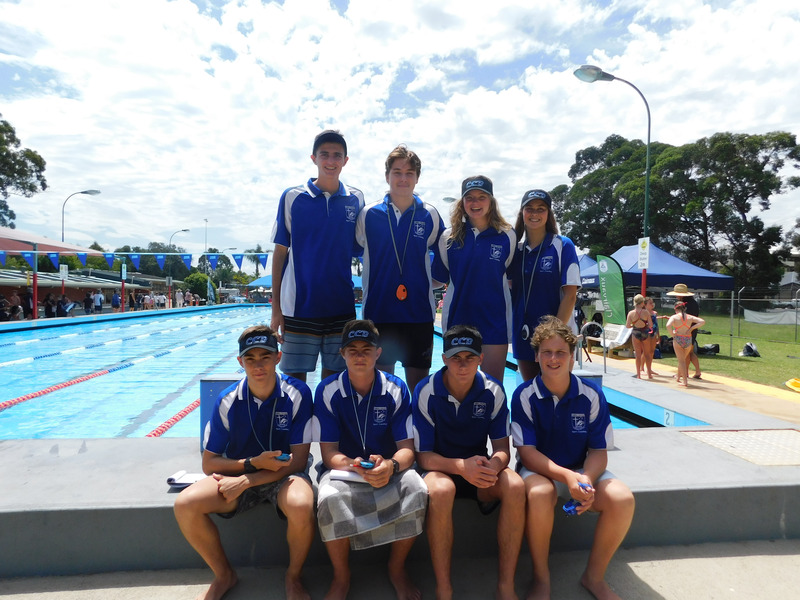 On Tuesday evening, Nicholas Parr contested in the Lions Youth of the Year event at Moruya. He was an admirable ambassador for the College. On this occasion, Nick was not successful in taking out the event, although Nick’s prepared speech was outstanding in his manner of delivery, eloquence and discussion of ideas – brilliant! Congratulations Nick. Nick is pictured with his mum below. Special thanks to Mrs McManus, Mr Knight and Ms Richards for attending the event and supporting Nick in this competition. We’ve welcomed a new family to the College this week. Tiarna McArdle has commenced in Year 8. A warm welcome to Tiarna and her family. You are warmly invited to our Combined Schools' Mass tomorrow at 10.00am in the school Hall. Morning tea will follow mass, so please stay and enjoy our College hospitality. This provides a lovely opportunity to meet other parents and enjoy morning tea with the staff. Again, I encourage full participation from the students and expect that they will be attending school tomorrow. This is an important celebration as we prayerfully open the 2019 school year. We welcome our new Parish Priest, Fr Stephen Astill as Celebrant, along with Fr Martins Aloga. Our musicians have been rehearsing tirelessly and their contribution to our celebration will be significant. We aim to celebrate the mass in a way that speaks to our students and brings relevance to their stage of faith development. Please consider joining us. 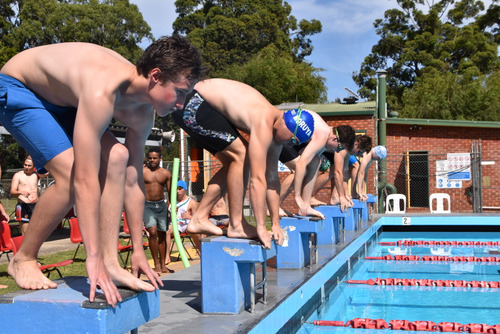 We are also looking forward to welcoming the students and staff from St Bernard’s, Batemans Bay and St Mary’s, Moruya. Our K-12 Pathways bring life and connection to our Catholic community here at the College. All parents of children in Years 7 and 11 are invited to an information evening next Tuesday. This information session commences at 5.45pm for Year 7 parents in the HUB, followed by a light meal. Year 11 parents will then have the opportunity to hear from key personnel regarding expectations and requirements of the senior years. This session will commence at 6.30pm in the HUB. There will be an opportunity to ask questions and clarify any concerns that you may have as your child moves into Years 11 and 12. Please come along! Students are very welcome to attend. The first meeting of the Council took place on Wednesday evening. I take this opportunity to thank our Council members for their leadership and willingness to support the Mission of our Catholic school. Catholic School Community Councils have been approved by the Archbishop for the service of the Church and the Catholic school communities in the Archdiocese of Canberra and Goulburn. Congratulations to Lyndall McCarthy and the Canteen Managers for their hard work in implementing the NSW Healthy School Canteen Strategy. The College now meets the NSW Healthy School Canteen Standards. This is a major achievement after three years of ongoing work. It has involved extensive reworking of the Summer and Winter menus. Congratulations to our team on this achievement. I must say, I am very impressed by the selection of food items available… no wonder the Canteen is a bustling place! As we reach mid-term next week, I continue to thoroughly enjoy my work each day as I learn more about the students and staff. As a professional, and a parent of Carroll College, I am extremely impressed by the dedicated team of teachers and support staff. I assure you that our children are in an exceptional environment that fosters care and wellbeing. Only when children feel this sense of security, are they able to engage fully in their learning. We have much to celebrate as a learning community. Please keep the Hagenbach/Hoedt family in your prayers. 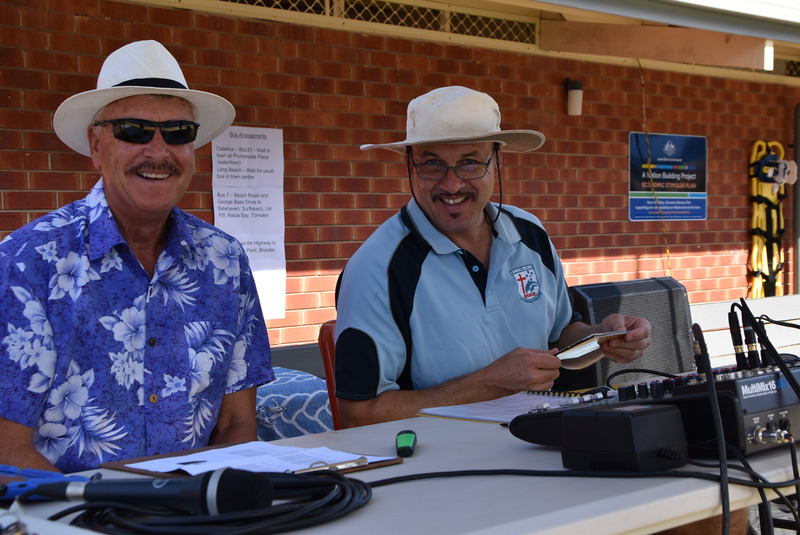 Mr Charles Hagenbach passed away recently and was father to one of our Year 12 students. Our thoughts and prayers are with the family at this difficult time. Best wishes for the coming weeks. At Carroll College, we actively encourage students to make positive contributions through study, culture, community service and sport. 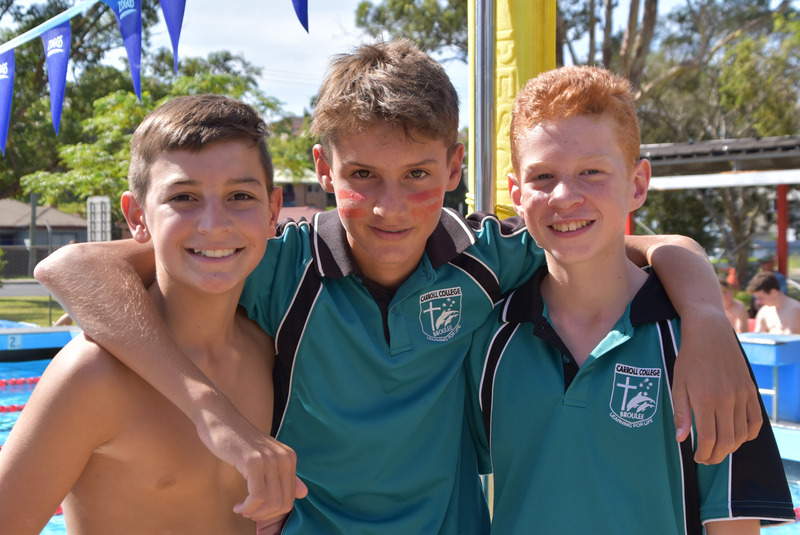 Last Friday, was a fantastic example of the school spirit that students demonstrated at our annual Swimming Carnival at Batemans Bay. Students dressed up in house colours, cheered, clapped, chanted and took part with great spirit. The level of participation was high and it was great to see students push themselves to compete hard and have fun on the day. Well done to Chisholm House, lead by Captains Lilly Cooper and Jake Lyttle, on a superb victory for their house. 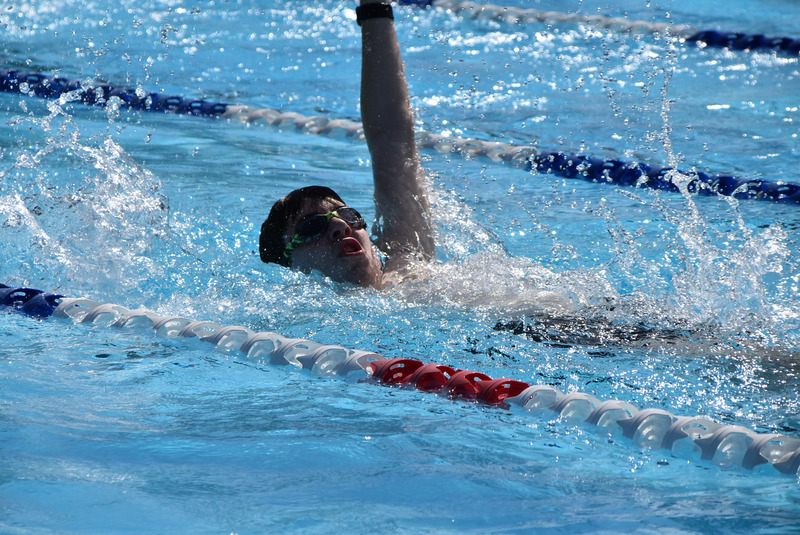 The pros of participating in sports are plentiful — from the advantages they provide to young adults, to the proven link to mental health and happiness, and of course the endorphins they trigger. There is no shortage of reasons to find a sport to get involved in. Pick one and get moving - there is plenty to be involved in a Carroll College! Year 7 students and Year 11 Peer Support Leaders are busy preparing for camp which will occur in a couple of weeks. 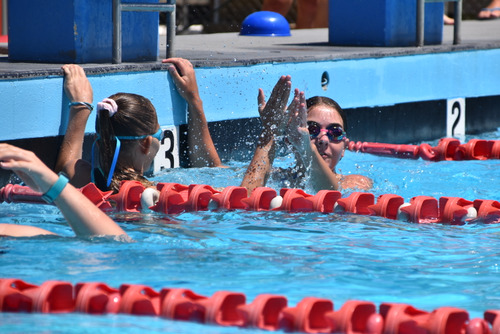 The camp is a great opportunity for Year 7’s to make new friends outside of the school environment, build resilience through preparing and pitching of equipment, and taking responsibility for themselves over three days. 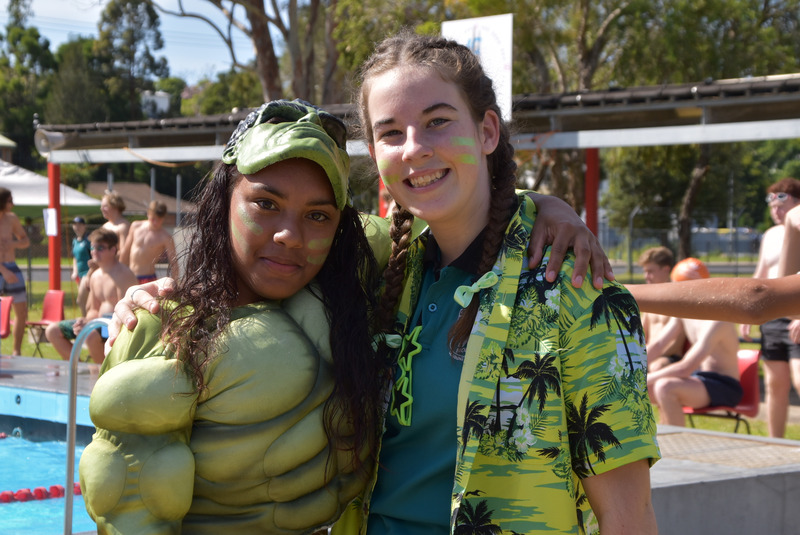 Year 11 Peer Support Leaders run the activities for students, as well as Pastoral Programs over the three days of camp; developing their own leadership skills and building solid foundations of friendship with younger students. It is a great couple of days away for students and one where they will develop long lasting memories of time away with their friends. Thank you to Mr Hodges for all the hard work he is putting in behind the scenes at the moment to make this a memorable opportunity for students. This week Carroll College has the pleasure of hosting the Combined Schools’ Mass. This annual celebration brings together the three schools in our K-12 Catholic Pathway to share in the Eucharist as one community of faith and education. Carroll College is delighted to have a number of guests from Catholic Education joining us for the Mass including, Mr Tim Smith, Performance and Improvement Leader, and Mr Patrick McGrath, Principal Catholic Identity Officer. The theme of the Mass is, This is Me. All members of our community should know, and truly believe, that they are special and accepted just as they are and our theme reflects this message. 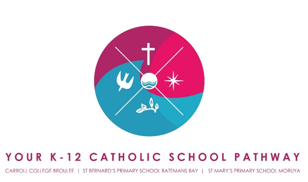 Students from St Bernard’s, St Mary’s and Carroll College are involved in the Mass and we encourage parents to join us in celebrating the joy it is to be part of a Catholic school in our region. The Mass will be in the College Hall commencing at 10:00am. ‘Growing Good Men’ is a unique opportunity for dads and their teenage sons to embark on a quest of discovery. A son’s relationship with his father can be a powerful guiding force as he wrestles with the questions of what kind a man he is becoming. The most important ingredient in this relationship is time. Cost: $400 inclusive of meals and accommodation for a father and son pair. As teachers in a Catholic school, we are tasked with bringing our students to God, daily. We do this through prayer, reflection, liturgical celebrations, our formal Religious Education programme, and through the action and witness we give to them. This Friday 22 February, our K-12 School Pathways will come together as one faith community to celebrate the inaugural Combined Schools’ Mass. Mass is to be held in the College Hall, starting at 10:00am. I extend a warm welcome to all families and friends. Sunday 17 February, St Bernard’s Parish dedicated the Vigil Mass to the opening of the 2019 school year. Parents, teachers and students gathered to offer special praises and prayers, and to obtain God’s blessing as we begin the Academic Year. We continue to pray for our teachers; to lead with vision and innovation as they bring out the best in the children entrusted to their care. We pray for the students, that they feel happy, supported and safe in our schools as they continue to learn and grow. St Bernard’s Parish continues to renew Church Ministries. All are invited to fill in an expression of interest in the Church foyer. The 2019 Sacramental Programme begins this month with the enrolment of candidates for First Reconciliation. Enrolment and a Parent Information Evening was held on 20 February at St Bernard’s Primary School. If you missed this meeting and are interested in your child receiving this sacrament, questions should be directed to the Parish Office on 4472 4153. For more information on College events and other calendar dates, please visit Sentral. A cricketing compadre of mine recently gave me a book to read that he found inspiring and relevant, not only to sport, but also to the very business of living. Legacy by James Kerr is a handbook for leaders, students and sportspersons that asks: What are the secrets of success – sustained success? How do you achieve excellent standards, day after day, week after week, year after year? How do you handle pressure? How do you train to win at the highest level? What do you leave behind you after you are gone? How do you play humbly and yet be a good winner? The All-Blacks are the benchmarks for excellence in Rugby. However, one ritual that is still in practice is that the team sweeps and cleans up the dressing room after play. Why? It goes to humility, to knowing your place, your responsibility and not getting too far ahead of yourself. “Strong, resilient people understand the strength of humility. It allows them to connect with their deepest values and the wider world". We encourage young people at school to use their abilities but not at the expense of others. Cooperative, collaborative learning has value because it helps ground adolescents in the process of understanding that others are different, with different talents and ways of thinking. “The fight is won or lost,’ says Muhammad Ali, ‘far away from witnesses – behind the lines, in the gym, and out there on the road, well before I dance under the lights". “First, put yourself in a resourceful state: calm, positive, clear. Then we ‘anchor’ that state through a specific, replicable physical action – something out of the ordinary, like scrunching up our toes, stamping our foot, staring into the distance, throwing water over our face. Repeat, and repeat, and repeat – until it’s automatic. Then, when we recognise the symptoms of pressure – when our focus closes down, our vision narrows, our heart rate lifts, our anxiety increases, our self-consciousness rises – we can use the anchor to reboot. And return to our centre”. Excellence is a habit. It must be practised. 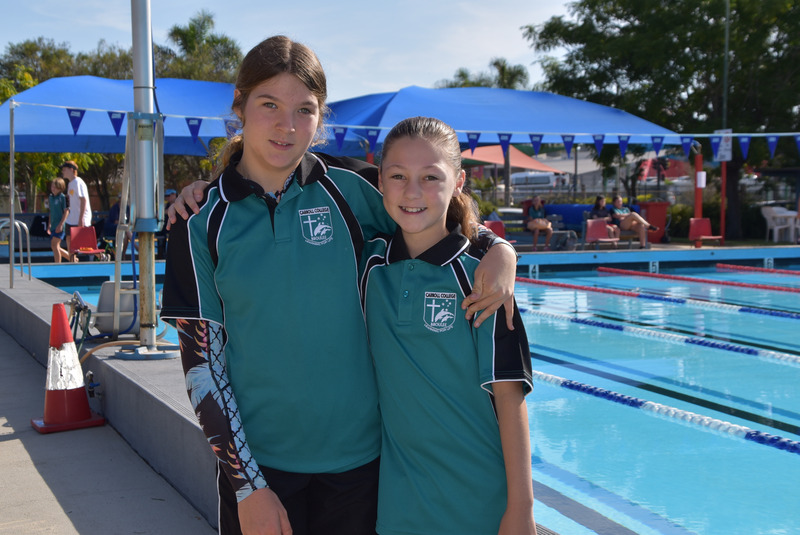 If our students get into the habit of a routine that fosters calm, focused learning then this will sustain them right up to the HSC year and beyond. For those students who suffer anxiety and stress before examinations and assessment tasks, it is helpful to realise that anxiety may be overcome by getting into good habits even as early as Year 7, of revision, sleep and working on tasks bit by bit, creating a series of actions that can lead to improvement in skills and confidence. However, even the great All-Blacks get nervous before games! “No one is bigger than the team and individual brilliance does not automatically lead to outstanding results. One selfish mindset will infect a collective culture". A champion team will always beat a team of champions. This is illustrated all the time in business, sports, learning and life. The ball tampering scandal in cricket, the egregious behaviour of some footballers and the tantrums of tennis players may be the result of celebrities being too big for the games they play. Nobody is! What about the athlete, sportsperson, student who not blessed with astonishing natural talent who strives with every ounce of their being to compete? They deserve our admiration. So, as parents, our legacy may be to model behaviours that say, “Strive for excellence using whatever amount of ability you’ve been given”. Success is all about the attempt, surely. Work experience for Year 10 students usually takes place in the final weeks of the year. 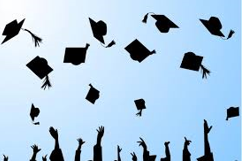 However, we do organise placements at other times of the year for some Year 9 and 10 students if the need arises. Work experience papers, collected from the VET office in the HUB, are to be filled in by the employer, parents and students, and returned to school for approval prior to any student going out on work experience. VET students will be having a VET induction day later in March. This date is yet to be confirmed. VET students need to make sure they have purchased their VET uniforms prior to their work placements that will be beginning in Term 2. All students should be checking their emails and Sentral regularly as this is where Careers information is uploaded. Students can keep a look out for casual jobs, apprenticeship and traineeship opportunities as well as local courses, scholarships, University and TAFE opportunities and enrolment information. 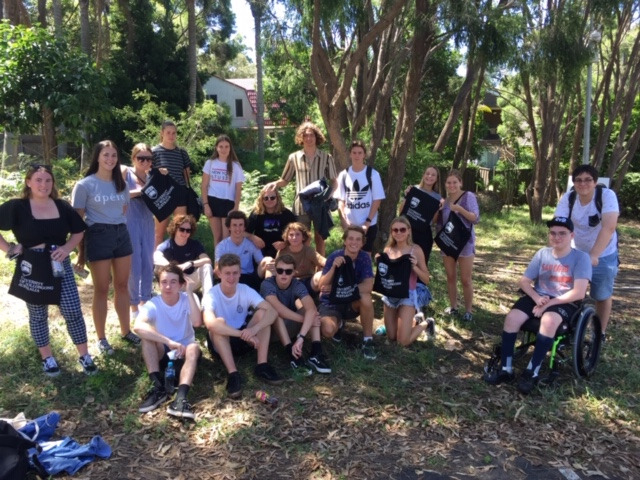 Year 12 started the year with an excursion to the University of Wollongong Discovery day. The students had the opportunity to become uni students for the day, immersing themselves in lectures, tours of the uni and also in a range of entertainment on campus. Students are encouraged to enrol in UPP at UOW by the end of February. This is a University Preparation Program aimed at assisting Year 12 students in their final months of the HSC, and preparing them for enrolling in university. Congratulations to our new VET classes in Year 11. They have begun the year extremely well. Sport Coaching students and Hospitality students have already begun their work placements within the local school community. 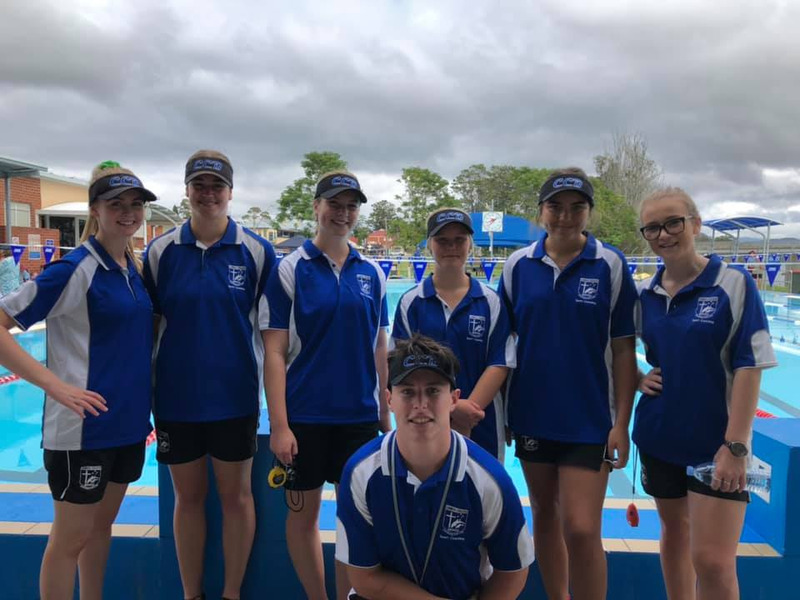 Sports Coaching students worked at the St Mary’s and St Bernard’s Swimming Carnivals two weeks ago, and the Hospitality students will begin their first service period tomorrow catering for and serving at the Combined Scchools' Mass. Aiden and Tom Gaffey have once again been selected in the Canberra Raiders SG Ball side for 2019. Aiden played his first game against the West Coast Pirates where he scored 2 tries. The Raiders won 64-20. 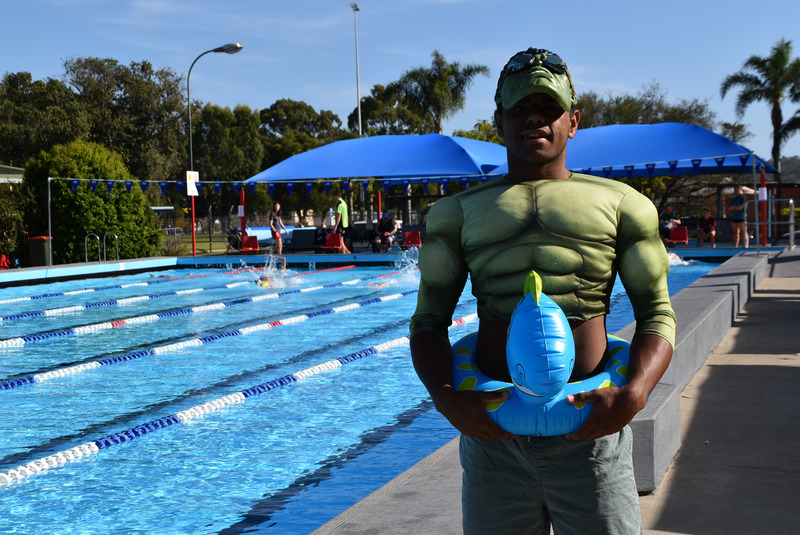 JC Lole-Ngarima has been selected in the Harrold-Matthews Canberra Raiders Squad for 2019. JC played his first game against Manly, winning 28-22. JC also managed to score a try in the win. In 2016, Sienna Klarica was approached by her local ballet teacher to audition for the Australian Ballet School in Melbourne, (ABS). The audition was held in Canberra along with a masterclass that the ABS hold in each state throughout the year. Sienna was chosen to participate in the ITP, 'Interstate Training Program' beginning in 2017. The program introduces students to the schools culture and unique training program. Throughout the year, Sienna is able to make personalised visits to Melbourne and have access to specialised coaching classes and must attend at least one 'Intensive Training Week' within the year. Sienna has had many opportunities to enter elite ballet competitions and was accepted in the Cecchetti Scholar Program in Sydney during 2018. The Australian Ballet School holds audition for full time entry into the program at Level 4. At the moment, Sienna is Level 3. 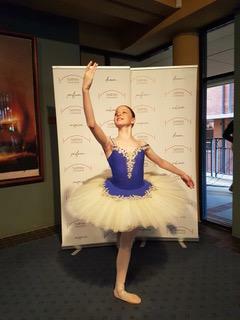 Her goal is to “dream big, work hard and achieve a position in the Australian Ballet Company”. 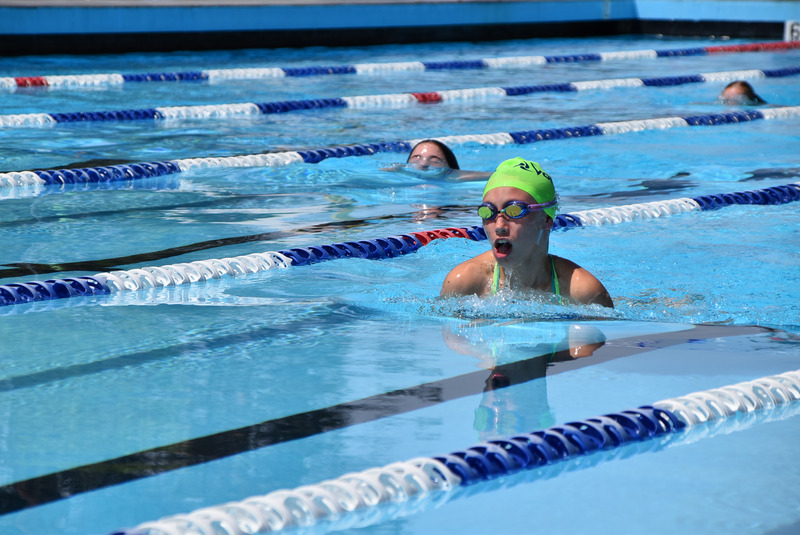 On Friday 15 February, Carroll College held its 25th annual swimming carnival. 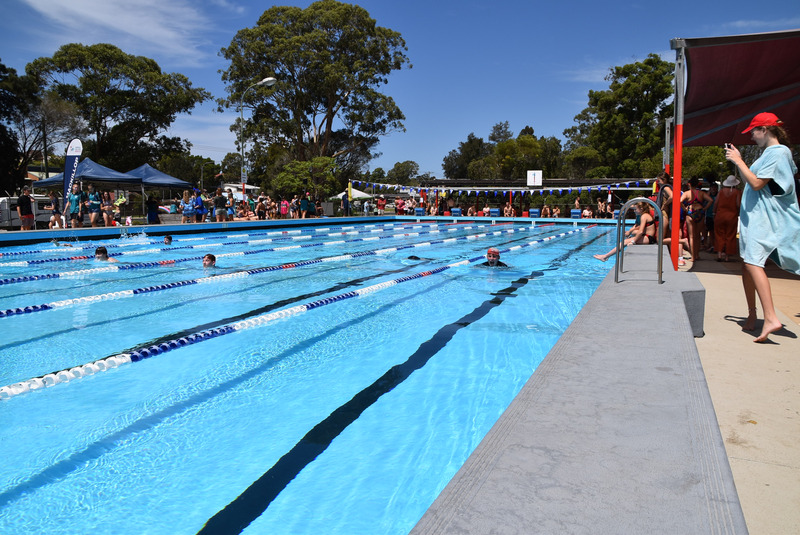 We were blessed with great weather and a large number of students turned up to compete on the day. House spirit was a big focus for the day. 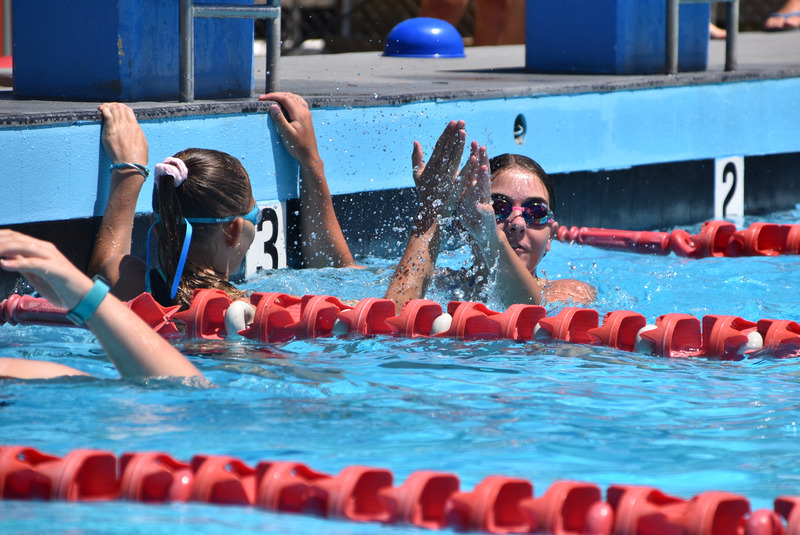 Students cheered on members from their respective houses loudly as they made their way down the pool lanes. The senior students once again impressed with their enthusiasm, colourful outfits and loud war cries. 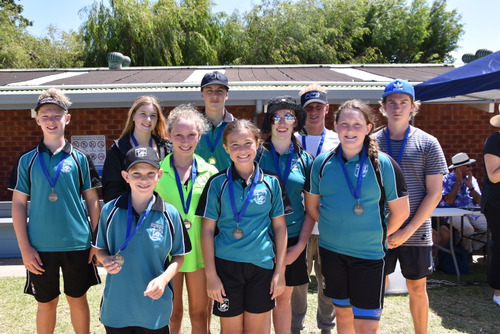 Congratulations to all the students who competed on the day, the parents who attended to help time keep and cheer on their children. Also big thanks to the staff that helped out on the day. 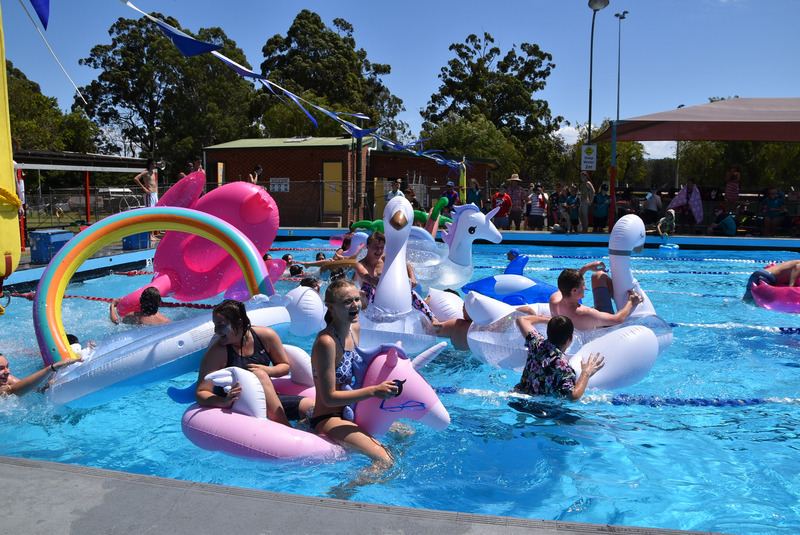 An information note was sent home with students who are eligible to compete at the Archdiocesan Carnival in Goulburn on Tuesday 26February. Term 1 Fees – Due at the end of Week 6 – Friday 8 March. 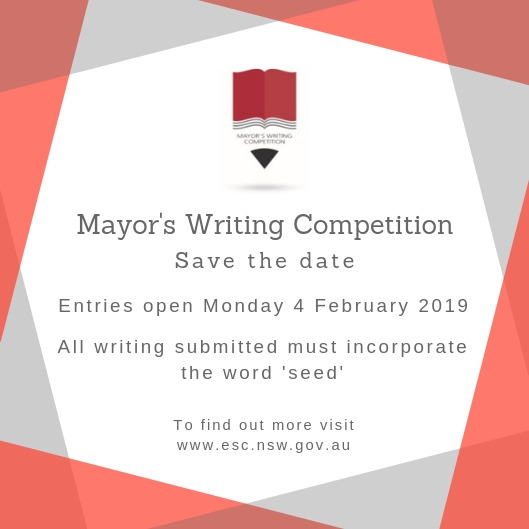 Term 1 Statements will be emailed shortly. 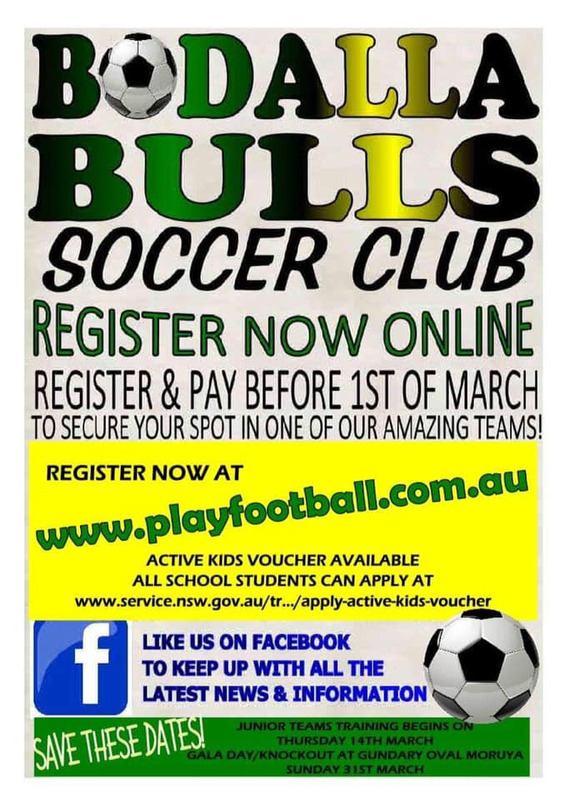 Please find attached to this newsletter email – a link to our 2019 Fee Schedule for your information.